It has been an honor to work with wedding couples, portrait clients, and other amazing people during my career as a photographer. I have photographed over eight hundred weddings, and am always so honored when clients take the time to leave such kind notes about my services and my work on review sites. This small sampling of reviews have been collected from just a few of the sweet words clients have left about my services. 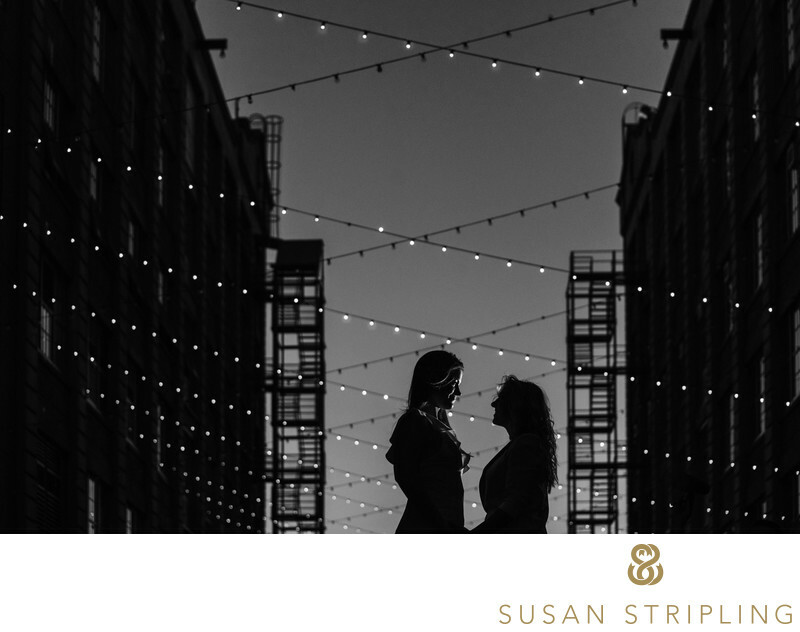 Sarah's words : My friend's husband is a wedding photographer, and when I first got engaged, he recommended that I check out Susan Stripling's work. The admiration that he, as a professional wedding photographer, gave Susan made me pull out my phone and scroll through her Instagram feed. Every single picture is absolutely gorgeous. I highly recommend you look at her Instagram and website if you haven't already. I talked with my fiance, and he agreed that we could book her. We booked her and our venue around the same time to make sure that they were both available. Working with Susan is an absolute treat. Her years of experience is very apparent when speaking to her. She answered all of my questions and set me at ease. She also helped with recommendations of other vendors that she's worked with in the past. On the day of, somehow she managed to wrangle both of our families efficiently even though at times I'm sure it was like herding cats. It was amazing watching her work. For our first couples picture, she led us to this spot. Two minutes later, the light changed (undetectably to my untrained eyes), and she had us move slightly to the left. And what do you know.. the pictures afterwards turned out just as she had predicted. The light was perfect. Throughout the evening's flurry of events, I didn't even notice when she was taking pictures because she didn't set up crazy flashes throughout the venue. She had a very simple setup, and it worked to get photos with much more natural lighting. I'm so happy with how all of the pictures turned out. I can't speak highly enough of Susan and her work. I wish I could give her more than 5 stars. Bridget's words : There isn't enough space for me to express my gratitude to Susan for shooting our June 4th wedding at XIX in Philly. I'm notoriously long winded so will try and be as brief as possible. Susan is awesome; her assistant is awesome; even her dog is awesome! She was easy to work with, professional, and creative. We felt like celebrities doing a photo shoot during our first look around Philly! The photographs Susan took are beautiful, we love them and we've received so many compliments on them. Many of our guests and friends are now following Susan on Instagram--I recommend to anyone reading this to spend two minutes right now and check out her gorgeous photos of the Hamilton cast and you'll see for yourself that the 5 stars are well deserved. The value we received for the price we paid was well worth it. If only Susan was there to capture all of life's big moments! I would highly recommend Susan to any couple looking for a wedding photographer. Alyssa's words : My sister suggested that we check out hiring Susan as our wedding photographer when she saw photos on Facebook of her friend's wedding (which were gorgeous). After viewing Susan's portfolio, we knew we had to hire her. We loved the raw emotion that came through in her photos and her incredible use of light. We also loved that the photos looked natural and not at all posed as I find is typical of other wedding photographers. We booked Susan several months in advance to ensure she was available for our wedding. As the day got closer, we had several touch points with Susan both via email and telephone to ensure all the details of the day were ironed out. With our wedding being in Manhattan and us wanting to do first look along with photos of us and our dog there were a lot of logistics that needed to be ironed out. Susan provided great suggestions as to certain areas of Manhattan that she suggested we shoot in addition to being completely patient and easy going as we moved around the city. Susan was incredible to work with and very efficient in getting her shots--there was no standing around or wasting time. Throughout the night Susan was quick to jump on photo requests and also captured candid shots. We are so excited to receive the final images and would recommend booking Susan to anyone in need of her services. We LOVED having her as such an important part of our wedding day! Suzanne's words : I cant even explain how perfect my wedding photos were. From the minute I spoke to her on the phone a year + ago, I knew that she was going to be my photographer. With a very specific and detailed vision I had for my wedding photography and how I wanted it done, Susan captured it perfectly. Every photo was more and more amazing, and after going thru 400+ photographers in the Tri State area, her photos stood out the most. I couldnt find one photo in her portfolio I did not like, and heard nothing but amazing things about her! Her professionalism, creativity, details and photos surpassed any expectation I had. Would recommend her to anyone looking for unbelievable photos on your wedding day! Matthew's words : Susan Stripling is amazing! My wife and I were thrilled to work with her. She captured the magic of our incredible wedding with her beautiful style. Our guests rave about the quality of the photography. The photos will be an enduring gift that my wife and I will share for the rest of our lives. On a practical note, Susan was remarkably easy to work with, especially for a crazy holiday wedding. I highly recommend Susan. It will be the easiest and best decision during your wedding prep. Stephanie's words : If we could give Susan Stripling 10 stars we would say that isn't enough. She is one of the most talented, amazing, and professional photographers we have ever come across. After we shared her blog post of our wedding showing a preview of the photographs, everyone commented with the same response: "Those are the best wedding pictures I have ever seen". In a market flooded with wedding "photographers" Susan stands out far above the rest. She exceeded our expectations and captured the emotion of the day perfectly. Her usage of lighting and her composure of the images are incredible. If you are looking for a wedding photographer, stop, and hire Susan. You won't regret it. Kelly's words : I LOVE Susan. I cannot even begin to express how extremely happy I am with my photos already, and I have only seen a handful as I haven't gotten them all back yet. But what I have seen makes me jump up and down with giddiness, they are so beautiful. She is a true artist and sees the most creative and beautiful things through her lens. American Photo has named her one of the best for 2012 and it's no surprise why, she's brilliant. She aims to please and will get that epic shot of your day, and then some. I'm considering hiring her for another bridal concept shoot in the spring! Thayer's words : Susan was amazing! She was funny and made us all feel very at ease. Our pictures turned out great and it was really great to spend the day with her - it felt like hanging out with an old friend, not an awkward glamour shots session! From the moment I saw her work I knew she was the right choice and I'm so glad that she was able to be there on our big day to capture it all. Thanks Susan!